Coral reefs around the world have changed dramatically in recent decades. Human activities have contributed to the mass extinction of corals in tropical oceans. 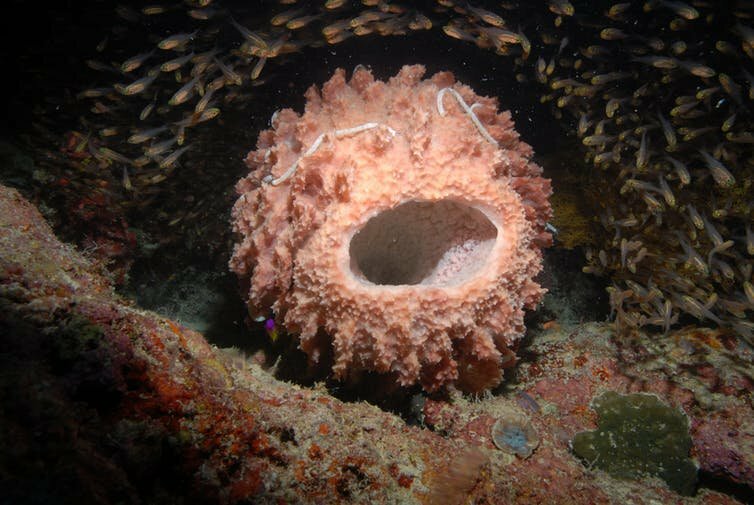 In our latest study, we examine the future Reefs that contain more sponges could function in comparison to the current coral-dominated ecosystems. At the Great Barrier Reef, the amount of living corals has declined in the last 30 years. Recurring bleaching events have a profound impact on the ecology of reef systems and the resources reefs can provide for humans. Marine sponges are found on the oceans. They are among the oldest known multicellular organisms and appeared about 580 million years ago in the fossil record. Throughout this long history of evolution, sponges have experienced a number of environmental conditions and demonstrated remarkable persistence to survive the end-Triassic mass extinction around 200 million years ago. While sponges are found in shallow and deep waters from the tropics to the poles, they are especially important for coral reefs. There, the filter feeders form a critical connection between the seabed and the overlying seawater body. Sponges pump large amounts of water and remove bacteria, plankton and dissolved foods. They also maintain symbiotic partnerships with various communities of microorganisms that can provide them with nutrients and secondary metabolites that support their defense against predators and infections. The recent report of the Intergovernmental Panel on Climate Change indicates very different results for coral reefs with a rise in seawater temperature of 1.5 ° C or 2.0 ° C. Even if we manage to keep the warming of the ocean at 1.5 ° C, corals will still be seriously affected. However, we have shown that many types of sponges are more tolerant than corals of the effects of climate change. 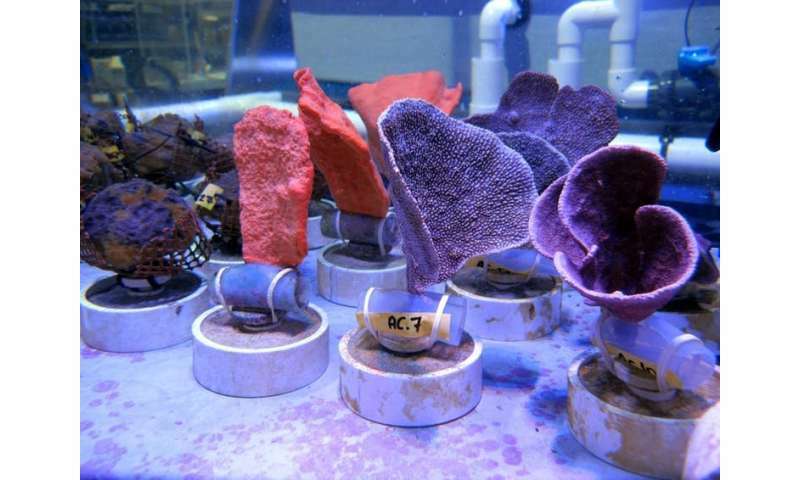 We think that sponges could be the future "winners" of coral reefs. Our work examined the tolerance of four Great Barrier Reef sponge species to ocean warming and ocean acidification predicted for the year 2100. All species were unaffected by moderate climatic changes in which we raised the temperature by 1.5 ° C. However, the environmental conditions projected in the most extreme scenarios (4 ° C increase in temperature) have had a significant adverse impact on some species. While higher temperatures can reduce the health and survival of some sponge species, ocean acidification generally seems to have negligible effects. 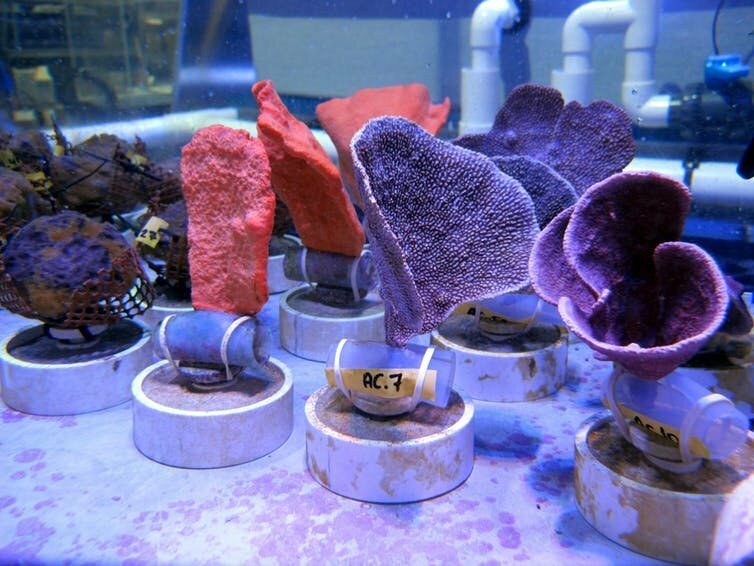 Research conducted on natural carbon dioxide vents also confirms the overall pH tolerance of many sponge species. Our experimental work has shown that responses to the combined effects of ocean warming and ocean acidification on different types of sponges are different. While acidification aggravated the effect of warming on sponge species that feed on plankton, it mitigated the warming effect in species with photosynthetic symbionts. Sponges react differently during their life history. Larvae of the rich sponge Rhopaloeides odorabile have a 4 ° C higher temperature threshold than their parents. Survival and colonization of common reef sponge larvae Carteriospongia foliascens are unaffected by unfavorable climate predictions. These results suggest that sponges have an inherent ability to tolerate climate change, but that this tolerance is not maintained in adult populations. In our most recent research, we have investigated the potential mechanisms that underpin sponge tolerance to warming and acidification. We measured the composition of lipids and fatty acids in sponge species with different environmental sensitivities. We found that sponges with larger amounts of storage lipids and certain long-chain polyunsaturated fatty acids were more resistant to warming. These specific lipids and fatty acids are likely to preserve cell membrane function and other cellular processes in the face of temperature stress. Further studies on how sponges alter their membrane lipids in response to increasing temperatures have revealed a potential mechanism by which ocean acidification could increase resistance to thermal stress by increasing the production of membrane-stabilizing sterols. Our research shows that lipids and fatty acids are an important component of the sponge response and can help their survival in future oceans. Sponge-dominated reefs will likely function very differently in comparison to existing coral-dominated systems. 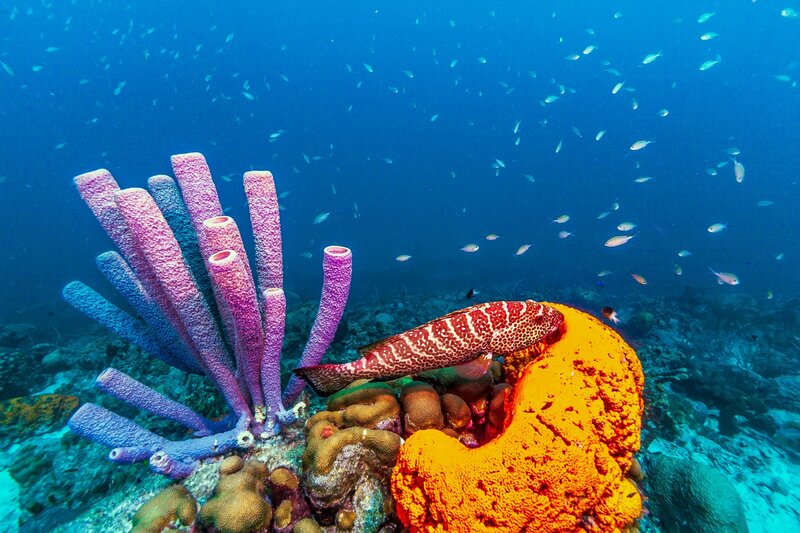 Reefs have been reported from Indonesia and the Central Pacific, where sponges are already the most common taxa. 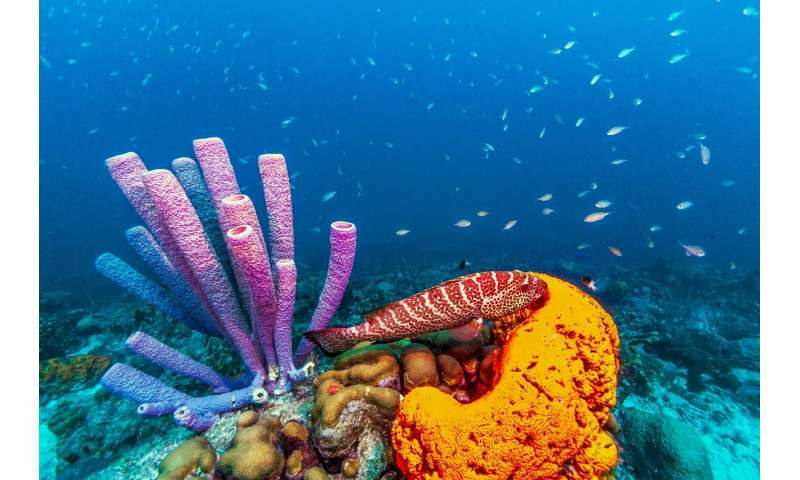 Some researchers also assume that many Caribbean reefs are predominantly dominated by sponges. Recent research has modeled how reef ecosystems would work with increased sponge abundance. She underlined the need to better understand how changes in the dominant group of reef organisms could alter marine food webs. 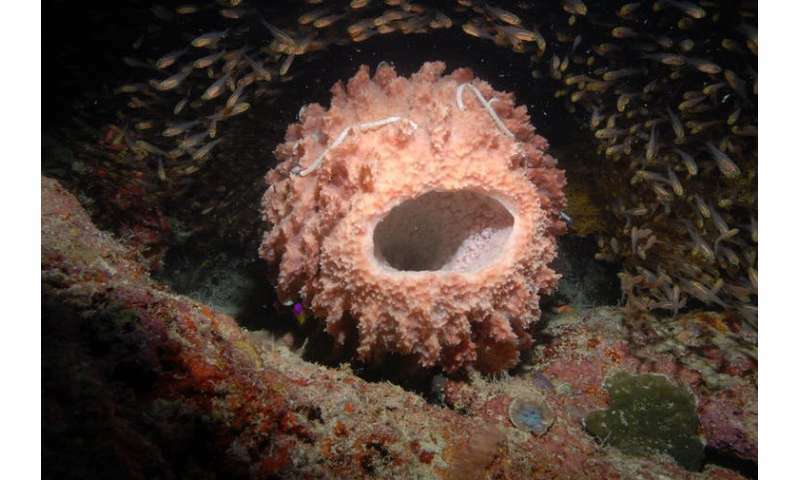 While sponge-dominated reefs are unlikely to provide people with the same resources as coral reefs, they provide habitat and food for some reef species. They are also responsible for the recycling of nutrients and contribute to a structural complexity that should have a positive impact on the biodiversity of the reefs. Could coral reefs become sponges in the future? This article was published by The Conversation under a Creative Commons license. Read the original article.